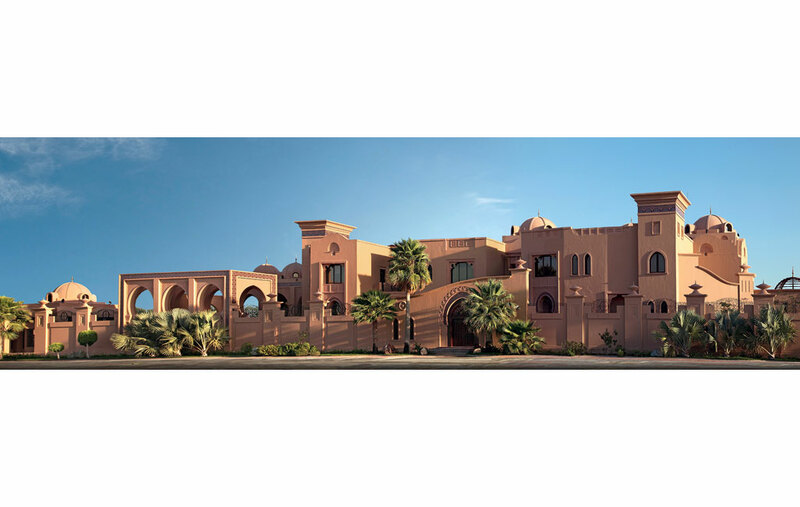 This palace is designed in the local architecture of the Gulf region, with North African/ Moroccan influences in the facade treatment as well as in the spatial planning and volumetric expression. 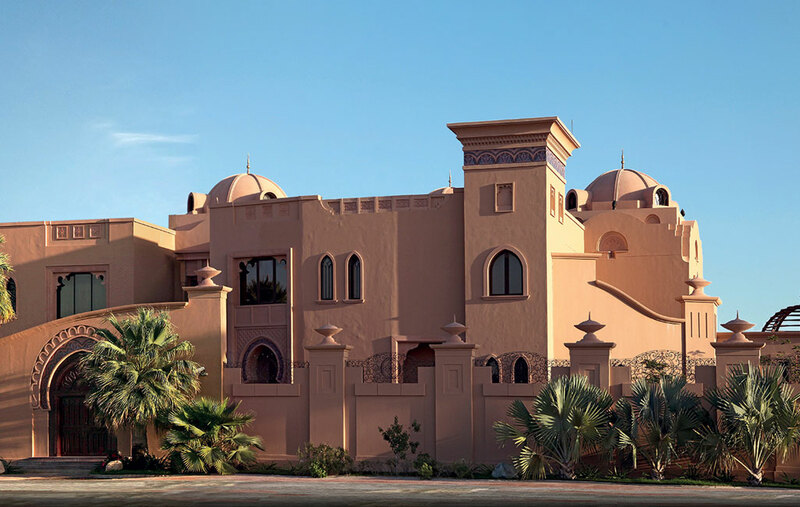 Its rustic sand-coloured painted facades are enriched with the subtle use of glass mosaic friezes and frames, giving an Andalusian spirit. Although wind towers and domes rarely coexisted traditionally, they have been combined effectively in this palace. The semi-open courtyard planning brings tranquility and is reminiscent of the older forms of courtyard architecture, regulating the family rooms and activities and organizing their adjacencies and connectivity to the outdoors. This allows the formal quarters of the palace to front a more formal and lush landscape garden, with a sequence of covered arcades adding a sense of scale and rhythm to the palace.